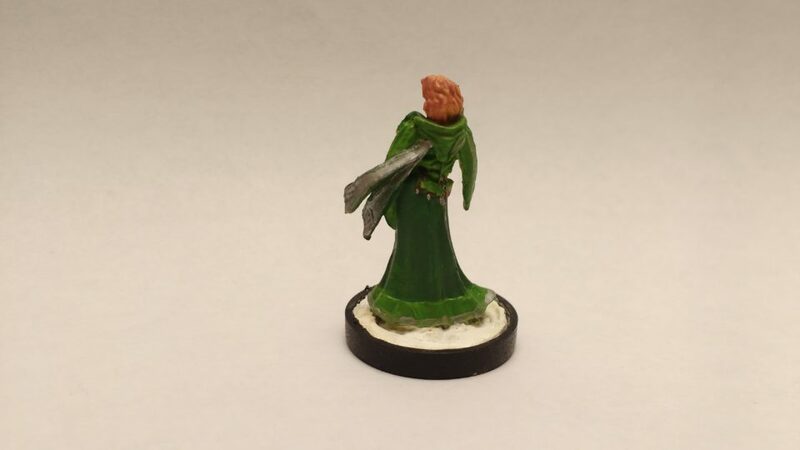 This is the miniature for one of the player characters in my Celestial Winter campaign. She’s a human hunter who makes a living hunting around Springfed and helping at the family bakery in Lonepine. 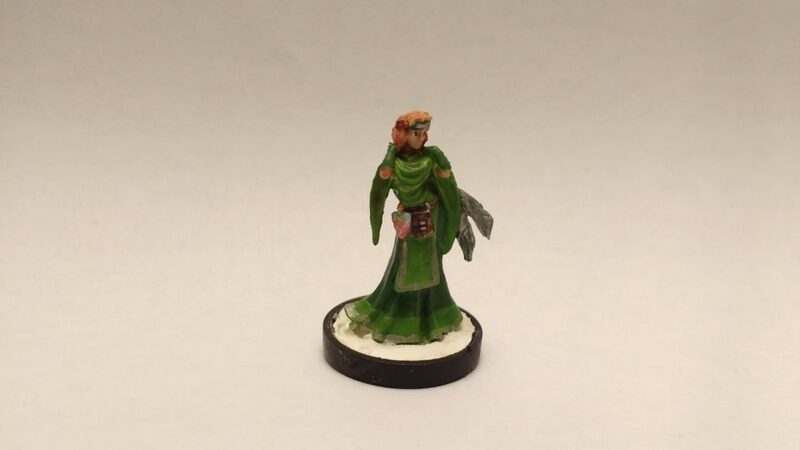 The player requested earthly greens as the primary color and strawberry blonde hair. Not sure that I quite delivered on the hair. I tried several different shades of green before settling on these two but I felt like it was still missing something so I added in the silver trim. The potion was fun to paint – as with Damiel Iconic Alchemist – I used five layers to give it depth plus an additional sixth on this one for the golden detailing. Per usual, I coated it with polyurethane and then a spray on matte finish.